Pakistan is an incorrigibly scofflaw state for whom international law matters little. Still, India was left with no option but to haul Pakistan before the International Court of Justice after a secret Pakistani military court sentenced to death a former Indian naval officer, Kulbhushan Jadhav, for being an Indian “spy”. At a time when there was no hope to save Jadhav, the ICJ interim order has come as a shot in the arm for India diplomatically. However, Pakistan’s response to the provisional but binding order that it does not accept ICJ’s jurisdiction in national security-related matters underscores India’s challenge in dealing with a country that violates canons of civilized conduct and engages in barbaric acts, as exemplified by the recent beheading of two Indian soldiers. The concept of good-neighbourly relations seems alien to Pakistan. For example, in the Kashmir Valley, the Pakistani military establishment is actively promoting civil resistance after its strategy of inciting an armed insurrection against India has yielded limited results. For years, India has stoically put up with the Pakistani military’s export of terrorism. Even as Pakistan violates the core terms of the Simla peace treaty, India faithfully adheres to the Indus Waters Treaty (IWT). Significantly, the ICJ’s welcome interim order has followed a string of setbacks suffered by India between 2013 and 2016 in three separate cases before international arbitral tribunals. One case involved a maritime boundary dispute in the Bay of Bengal, with the tribunal awarding Bangladesh almost four-fifths of the disputed territory. It was nearly 50 years ago when Her Majesty’s government let it be known that it would no longer be able to sustain Britain’s traditional role east of Suez. The announcement could not have come at a worse time for the American administration, already over-burdened in Southeast Asia. Is Indian Air Force prepared to fight a two-front war, mount an effective defence? Last week, Air Chief Marshal BS Dhanoa sent a personal letter to nearly 12,000 officers of the Indian Air Force (IAF), asking them to be prepared for operations "at a very short notice". The 'personal' letter is believed to be the first of its kind written by an Indian air chief – though it is known that two army chiefs, Field Marshal KM Cariappa in May 1950 and General K Sundarji in February 1986, had sent similar letters to the Indian Army officers. Of course, in his personal letter, the air chief has written on a plethora of issues, all intended to boost the morale of his officers, but the timing of his letter seems to be influenced by the deteriorating relations with Pakistan and heightening of insurgency in Jammu & Kashmir. In fact, the air chief’s letter assumes further significance amidst reports that India may be forced to fight a two-front war in the future, given China’s increasing bellicosity. Reports suggest that faced with a two-front war scenario against Pakistan and China, the IAF will deploy its latest Rafale combat aircraft – 36 of them are to be procured from France – at Ambala in Haryana (keeping in mind Pakistan) and Hasimara in West Bengal (to meet the Chinese challenge). A market-driven, conservative capital-spending, and more cautious India has distinct advantages that China does not. China strode big and tall in its “coming out” ceremony, its biggest and grandest demonstration of emerging big power status, at the Belt and Road Forum in Beijing on Sunday. The event and the importance the country attaches to it were not lost on most countries, especially India, which chose to not participate and did not send a delegation. The monumental strategic project that China has referred to under various names over the years – “One Belt One Road” (OBOR), “Belt Road Initiative”, etc - is basically envisaged as a modern-day equivalent of the Silk Road that traversed Eurasia in mediaeval times. In its modern avatar, China has re-envisioned it as an economic corridor connecting landmass and sea stretching from the Pacific Ocean to the Mediterranean Sea on the one hand and from South China Sea to the Indian Ocean on the other. MANCHESTER, England — Britain’s top domestic security official said Wednesday it was “likely” that the bomber who killed 22 people at a concert on Monday night was not acting alone, a day after the nation’s threat level was raised and the military deployed to guard public events. In an interview with the BBC, Home Secretary Amber Rudd did not provide details of who suspect Salman Abedi may have been working with when he detonated explosives in an attack that targeted teenage concertgoers, but she said security services — which had been aware of Abedi “up to a point” before the bombing — are focusing on his visits to Libya, at least one of which was very recent. Her French counterpart, Interior Minister Gerard Collomb, told broadcaster BFMTV that Abedi may have also gone to Syria, and had “proven” links with Islamic State. British Prime Minister Theresa May’s Tuesday night announcement, which takes Britain’s alert level from “severe” to its highest rating, “critical,” clears the way for thousands of British troops to take to the streets and replace police officers in guarding key sites. On Wednesday, British Parliament announced that “due to the raised national security threat” all public tours would be stopped, with immediate effect. The Changing the Guard ceremony at Buckingham Palace — a popular tourist attraction — was also cancelled. The worst terrorist attack on British soil in over a decade was carried out by a British-born son of Libyan immigrants who was born and raised a short drive from the concert hall that he transformed from a scene of youthful celebration into a tableau of horror. Aubrey Hruby is a nonresident senior fellow at the Atlantic Council and co-author of The Next Africa: An Emerging Continent Becomes a Global Powerhouse. This piece is part of a special RCW series on the U.S.-China geopolitical relationship. The views expressed here are the author’s own. The much-discussed and controversial China-Africa relationship has evolved greatly over the past few years, but common perceptions have not kept pace with changing realities. China has become Africa’s largest and fastest-growing trading partner, pledging $60 billion-worth of funding to the continent in 2015. It has been cast as an exploitative “neo-colonial” business partner over the past two decades -- one with little interest in forging genuine win-win deals with African nations. This view has some merit given the opaque, government-to-government nature of China’s relationship with the continent. There are, however, indications that China and African countries are developing commercial ties that are more balanced, diversified, and beneficial to both regions. China and the African continent collectively contain a third of the global population and have recorded the fastest growth rates in the world over the past 15 years. Can China Afford Its Belt and Road? China's just-completed conference touting its Belt and Road initiative certainly looked like a triumph, with Russian President Vladimir Putin playing the piano and Chinese leaders announcing a string of potential deals and massive financial pledges. Underneath all the heady talk about China positioning itself at the heart of a new global order, though, lies in uncomfortable question: Can it afford to do so? Such doubts might seem spurious, given the numbers being tossed around. China claims nearly $900 billion worth of deals are already underway, with estimates of future spending ranging from $4 trillion to $8 trillion, depending on which Chinese government agency is doing the talking. At the conference itself, Chinese President Xi Jinping pledged another $78 billion for the effort, which envisions building infrastructure to link China to Europe through Asia, the Middle East and Africa. From no other country in the world would such pledges be remotely plausible. Yet even for China, they'll be difficult to fulfill without clashing with the country's other objectives. The first question is what currency to use for all this lending. 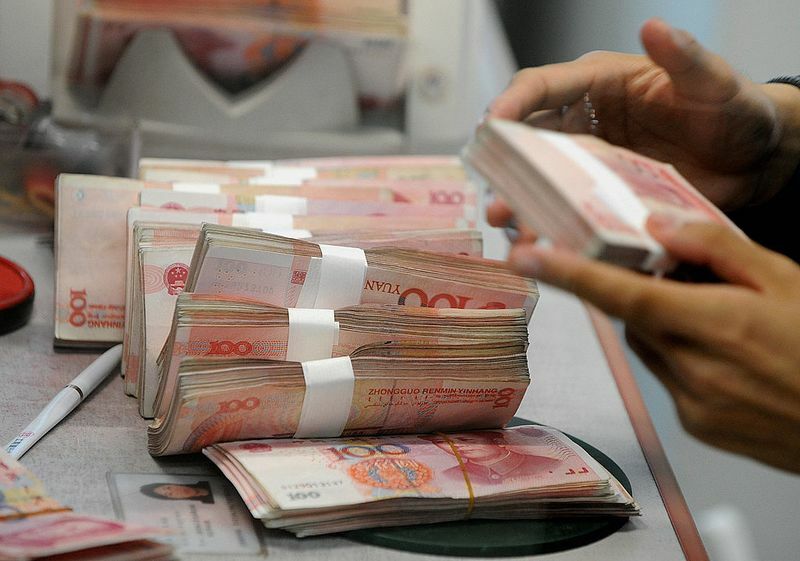 Denominating loans in renminbi would accelerate China's stated goal of internationalizing its currency. But it would also force officials to tolerate higher levels of offshore renminbi trading and international price-setting. So far, they've shown little appetite for either. China's Belt and Road Initiative encompasses six economic corridors. But in geographic and ideological terms, Europe represents the end of the new Silk Road. Increased connectivity with Europe could offer China a chance to expand its access to new markets, as well as to high-tech and strategic assets, thereby facilitating its domestic industrial reform plans. Despite Beijing's stated goal of fostering greater integration throughout Eurasia with its Belt and Road scheme, however, its approach on the Continent has so far emphasized bilateral or subregional agreements with states in Central and Eastern Europe, as well as the Mediterranean. The strategy has raised concerns among the European Union's central powers that Beijing's influence in the countries could threaten their own, particularly as the bloc's political and economic rifts widen. For centuries, trade between Europe and China along the ancient Silk Road fluctuated as each side weathered cycles of prosperity, war and instability — a trend that continues to this day. China is currently in the midst of a decadelong economic and social rebalancing to ease its economic and supply chain reliance on its eastern coast. At the same time, it is eager to project power abroad commensurate with its economic and military clout. In Europe, meanwhile, rising nationalist movements and enduring disagreements over economic matters have paralyzed the European Union at a time when the bloc is contending with issues such as Russia's activities in its borderlands and a new political order emerging in the Middle East. Beijing views the parallel challenges facing China and Europe as an argument to increase cooperation between the two through the Belt and Road Initiative. Meanwhile, the Chinese government has increased the pressure on South Korean private firms operating in China as a punishment and warning for Seoul’s decision. Lotte, a South Korean conglomerate that sold the government a golf course to be used for THAAD, felt the pain almost immediately upon the announcement of its role in the defense battery’s positioning. Chinese authorities shuttered dozens of Lotte stores on the mainland, using the flimsy excuse that the government had just discovered that the stores did not comply with fire regulations. Beyond the closure of the physical stores, Lotte’s website was brought down and Lotte Duty Free suffered a distributed denial-of-service attack originating from Chinese internet addresses. Initial estimates of lost business and damage from these cyber attacks are in the hundreds of thousands of dollars. The last handful of neighborhoods held by the Islamic State in Mosul will likely be the most difficult to retake despite nearly eight months of street-by-street fighting, the U.S. officer in charge of advising Iraqi forces in the area predicted. It’s going to be “extremely violent,” Col. Patrick Work, commanding officer of the 2nd Brigade, 82nd Airborne Division, said during a phone interview Saturday. Work is in charge of about 1,800 soldiers who are helping “advise and assist” the Iraqi forces around Mosul. “The hardest days are still in front of them,” he said. Mosul is a critical prize in the fight against the Islamic State. It was once the main urban stronghold for the militants in Iraq and the logistic base for other atrocities across northern Iraq, including purges against the Yazidi minority and the destruction of world-famous, pre-Islamic antiquities. Work declined to give a timeline for the remainder of the operation in the western part of the city, but some Iraqi officers have said the battle could be over by the end of the week in conjunction with the start of Ramadan, a holy month of fasting, introspection and prayer. Washington has stopped trying to figure out the “Arab Street.” From what I can tell it happened somewhere around Nov. 9, 2016. America is probably better off for it. I’m not saying we should ignore public opinion in the Arab world. Nor should we ignore its politics. The Middle East, and what happens there, is of crucial concern to American policy makers and interests. But at least since I arrived in Washington in 2002, the foreign-policy establishment has been on a quixotic quest to tap into the thoughts of an estimated 365 million people. 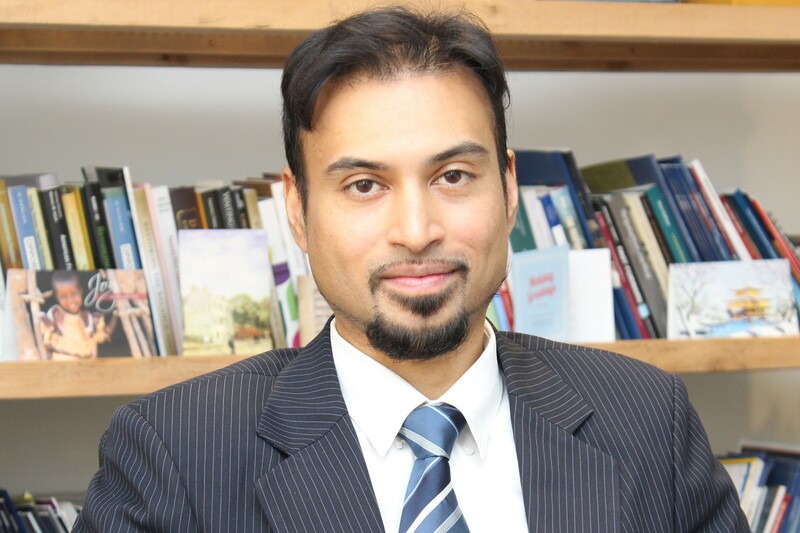 Armed with language lessons, history books and advanced degrees, America’s Middle East analysts labored to understand why Arab populations cheered the 9/11 attacks, jeered the 2003 Iraq invasion, and brought down dictators during the Arab Spring. I was among them, taking trips to dangerous places in the hope that I could acquire “ground truth” that would help in America’s battle for hearts and minds. Russia has gone to great lengths since the Soviet Union’s collapse to keep Chechnya, the majority Muslim, restive, semi-autonomous state in the Northern Caucasus, under control. Around the turn of the century, Moscow was able to link up with a family, the Kadyrovs, capable of restoring a semblance of order. But now the Kremlin’s grip on power at home is slipping away, and allocating the time and resources needed to ensure Chechnya’s stability is becoming untenable. The Kadyrov regime has had to find its own solution: letting Islam trickle into Chechnya’s politics. It’s a solution that will work to the advantage of jihadists. After the Soviet implosion in 1991, Chechnya, then part of the Chechen-Ingush Autonomous Soviet Socialist Republic, declared its independence from Russia and split from what would become Ingushetia. Russia launched the First Chechen War in 1994, lasting until 1996, in an effort to regain sovereignty over the area. But it was not until the Second Chechen War, which began in 1999 and lasted for the better part of the 2000s, that the Kremlin retook control. It was then that Moscow gained the loyalty of Akhmad Kadyrov, the former mufti of the short-lived independent Chechnya. He became president of the Russian-controlled Chechen Republic in 2003. Obviously, the idea of ​​a new Silk Road is the basis for the PRC's foreign policy in the Eurasian space. Cheap labor, combined with huge financial resources and the completion of the renovation of almost all major infrastructure projects inside China, force Beijing to actively and accurately work in the countries of Central Asia. In this respect, cooperation with Pakistan is quite indicative, where, because of the Chinese investments, the country goes through a political, social and economic transformation. The countries of the former Soviet space in Asia are also necessary for the expansion of Chinese capabilities and transport routes towards Europe. HOW SHOULD WE REMEMBER THE SIX DAY WAR? ON THE one hand, the Israeli government and its allies and supporters abroad would no doubt much prefer to focus solely on the war itself, recalling it as an attempt by the Arab world to destroy Israel and throw its Jewish population into the sea. In this telling of the story, Israel’s stunning military triumph emerges as an almost divinely inspired event, culminating in the extraordinary reunification of Jerusalem. Some, including Prime Minister Benjamin Netanyahu, will no doubt argue that not much has actually changed in the last half century. The Arabs surrounding Israel refused to accept its existence then, they will say, and many still refuse to accept its existence as a Jewish state today. And, of course, Israel also faces deadly threats to its existence from the likes of Iran, ISIS, Hezbollah and Hamas, which make no secret of their desire to wipe Israel off the map. Of course, that ignores 40 years of peacemaking between Israel and the Arab world that have yielded the substantial achievements of peace treaties with Egypt and Jordan. It also disregards the official recognition by the Palestinians of Israel as an independent state almost a quarter of a century ago. THE CYBER WORKFORCE GAP: A NATIONAL SECURITY LIABILITY? In a remarkable confluence of events, the White House released their much-awaited cybersecurity executive order less than a day before the outbreak of a massive global ransomware attack. Amidst the quickly moving news, even experts may be forgiven for missing Section 3 (d) of the executive order — the final paragraphs before the document gives way to definitions and formalities. This section calls for an interagency report due to the White House within 120 days with findings and recommendations for developing the cybersecurity workforce. The topic may seem like an unsexy afterthought, but is poised to become one of cybersecurity’s most critical challenges. Current data shows a talent shortfall of 40,000 unfilled cybersecurity jobs per year in the United States, with a growing international talent gap to match. When taken in the context of national security, this skills gap has some very unsettling real-world consequences. As high private-sector salaries and enticing intelligence community job descriptions draw in the limited population of trained workers, other employers are pushed out of the hiring market. This is especially true for small businesses and state governments, many of whom control very valuable and sensitive data sets and systems (for example, drivers’ license and voter registration databases). New draft guidance from the National Institute of Standards and Technology has been released to offer federal agencies best practices in support of President Trump’s May 11 executive order on strengthening cybersecurity. NIST Interagency Report 8179, “The Cybersecurity Framework: Implementation Guidance for Federal Agencies,” outlines ways agencies can comply with the new mandate stating they must implement a NIST-developed framework for securing federal networks and critical infrastructure. The NIST document can assist agencies in vetting vendors and aligning cybersecurity practices to the acquisition process; managing cybersecurity requirements and assigning responsibilities throughout an organization; and assessing how well the agency is complying with the Federal Information Security Management Act, among other data protection laws and needs. NIST is looking for agencies to give feedback on their implementation of the guidance. Feedback will be collected at the Federal Computer Security Managers’ Forum Annual Offsite Meeting, held June 20 and 21 at NIST’s Gaithersburg, Md., campus, and public comment will be accepted until June 30. In the wake of the recent WannaCry ransomware attacks, cybersecurity has once again catapulted into the policy limelight. But the world is just now coming to terms with its implications. The impact of the attacks was felt by individuals, firms, and government agencies across the globe. It now falls to policymakers to start taking the threats from nefarious cyberspace actors seriously. Fortunately, two senators have proposed a bill that does just that. Sens. Ron Johnson (R-WI) and Brian Schatz (D-HI) introduced the “Protecting Our Ability to Counter Hacking” (PATCH) Act. This bill would codify the government’s process of disclosing exploitable zero-day software vulnerabilities in law, while adding a number of mechanisms to streamline notifications to vendors whose software is impacted by declassified disclosures. This is an important step towards ensuring the integrity of America’s digital ecosystem — for consumers, industry, and national security stakeholders. Zero-day vulnerabilities are software bugs that have had “zero days” to be patched by developers and for consumers to install. 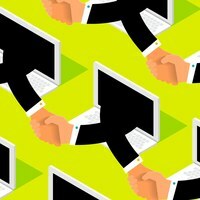 These security weaknesses can be discovered in any number of ways, including “white-hat hackers” intent on revealing vulnerabilities for the public good, hackers intending to sell bugs to interested buyers, or intelligence agencies seeking new avenues for conducting surveillance. Exploits discovered by the intelligence community are of particular note because the government has an established protocol for divulging their release: the Vulnerabilities Equities Process (VEP). The Army continues to integrate electronic warfare capabilities within a variety of operations, with the most recent example being its use in counter-drone operations during the Maneuver Fires Integrated Experiment, or MFIX, at Fort Sill, Oklahoma, from April 3-13. The event sought to evaluate a variety of emerging technologies and concepts. The main reason for experimentation is to learn, mitigate risk and deliver the right capabilities to soldiers in the field, said John Haithcock, director of the Fires Battle Lab at the Fires Center of Excellence, during a media telephone call on May 10. In order to determine the details of an experiment, he said, the lab studies the future operating environment. He added that there are currently several emerging disruptive threats, especially in fires, unmanned aerial systems and air defense, and the Army ties this future environment to current capability gaps to determine what it needs to integrate into experimentation to study cross-domain fires. Haithcock noted that soldiers experiment with EW tools for offensive means — particularly in short-range air defense and especially against commercially available UAVs — in a live-fire exercise in which participants downed actual drones being flown at them by an opposing force. Although a small dollar figure compared to the total garnered by Lotte from its 150 chemical plants, supermarkets, and other facilities operating in China, the shot across the economic bow did not go unnoticed in Seoul. South Korea exports to China were worth more than $120 billion last year, about a quarter of the country's total exports, and it is particularly vulnerable to such coercion. This is a classic case of cyber-enabled economic warfare – that is, attacks against a nation using cyber technology with the intent to weaken its economy and thereby reduce its political and military power. MOUNTAIN VIEW, Calif. — Sometimes you just need to have a party, even if there’s nothing special to celebrate. 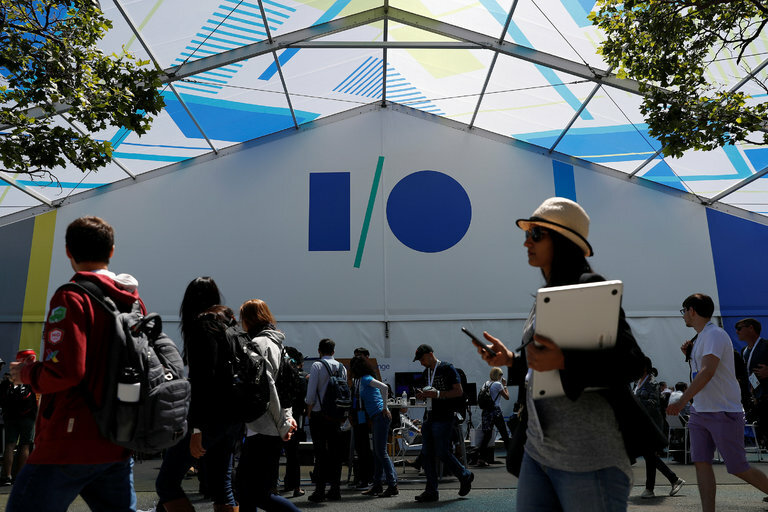 That was Google’s situation on Wednesday, when it held its annual conference for developers on a perfect spring day in the outdoor amphitheater adjacent to its Silicon Valley campus. There were no headline-making announcements, no big reveal of the sort that Steve Jobs would make (iPod and iPhone) in his glory years at Apple. The tech world moves too fast these days for companies to save products for an annual event; they appear when they’re finished. But the conference must go on anyway. Internet Providers Insist They Love Net Neutrality. Seriously? THE BROADBAND INDUSTRY has scored a major victory: The Federal Communications Commission just took the first step toward overturning its own Obama-era net neutrality protections. The rules won’t disappear overnight. In a party-line vote today, the FCC formally agreed to start the process of gathering feedback before drafting a more specific plan, which could take months (#bureaucracy). But FCC chair Ajit Pai has made it clear that, barring a successful legal challenge, the agency will give up its authority to actually enforce net neutrality regulations. The effects of WannaCrypt ransomware attack were far-reaching. Europol dubbed it "the largest ransomware attack observed in history", with more than 200,000 victims in 150 countries. Computer systems were knocked offline in hospitals across England, European car plants, in Russian banks and Chinese schools and colleges. But does Microsoft have the power to mitigate the effects of a similarly devastating attack by changing how it patches old systems? On the face of it, it appears so. In the aftermath of the WannaCrypt attack, Microsoft took the extraordinary step of patching Windows XP, Windows Server 2003 and other unsupported OSes, to fix the flaw that WannaCrypt exploited to infect systems. However, supported versions of Windows received this same patch from Microsoft back in March. Had that patch been applied to unsupported versions of Windows at that time it's possible the scale of the WannaCrypt infection could have been significantly reduced, particularly as a single machine infected with WannaCrypt attempts to spread ransomware to every machine on its network. HONG KONG (AP) — Experts are trying to figure out who’s behind a global “ransomware” software cyberattack that shut down hundreds of thousands of computers around the world by exploiting a software vulnerability.